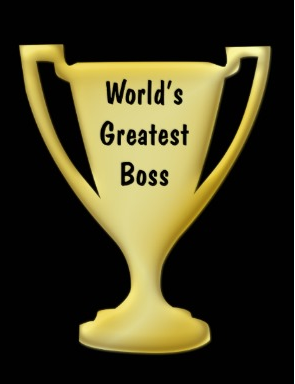 Want to be a Great Boss in 2014? The Tigers wound up No. 5 in the AP, beating four Top 25 teams, including Florida State. The only loss came in Week 5 at LSU 35-7. While the signature win was the "Punt, Bama, Punt" upset that denied unbeaten Alabama a shot at the national title. Sounds familiar? That year we beat Florida State and this is the program we bought. A Phil Neel Classic! 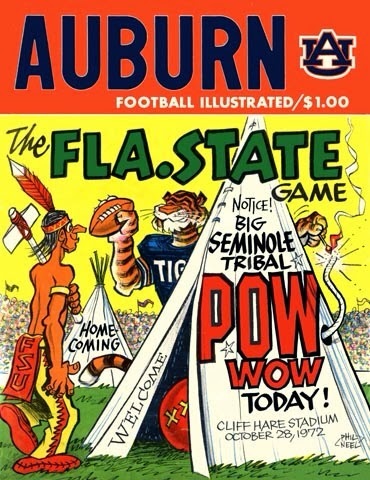 That year the Tigers went on to whip Florida State. Sounds familiar too, doesn't it? On that Monday I remember seeing several of the players in my classes with bruises from a brutal game. 1972 and 2014 have both been years filled with wonder and many surprises such as "Prayer in Jordan Hare" and "Kick6" What a season of blessings for all Auburn Fans! War Eagle! Learn Something New. Do not expect your people to keep on learning if you don't show a commitment to learning as well. For instance, when managers apologize they gain respect by holding themselves accountable. Using your influence and knowledge to help others succeed is what great bosses do. Good coaches know how to ask the right questions to help people discover their own path to answers. These might sound like new and scary concepts to some, but that is what great bosses do. They learn and grow. Improve Emotional Intelligence. It helps you manage yourself so you can lead others. Are you a micro manager, not strategically minded, procrastinating, unorganized, show disrespect, always reacting and not planning ahead, etc. Improve your weaknesses and listen more in 2014 if you want to be a great boss. First, go public with your resolutions. Think about the people who care most about your growth and the success of the team, and post for all to see. Second, ask a few people to help you. This can range from observing you and letting you know what they see to actively coaching you. Why is that important? There is something called coach’s bias. Once I'm invested in someone's growth, or in the success of an employer organization, I begin seeing things more quickly than others. Feedback is the secret sauce you need as you work on your five resolutions. Third, put your team through a SWOT review. Schedule a free thinking breakfast time complete with a large post-it chart. SWOT is taught in all MBA programs and is what great organizations regularly perform. Learn your organization’s Strengths, Weaknesses, Opportunities & Threats. You will be amazed what you will have on the wall when the last donut is gone! The Obama administration on Wednesday November 27 delayed online enrollment until November 2014 for small businesses using the Affordable Care Act's (ACA) federal marketplace. HEW officials had already pushed back acceptance of online applications in the Small Business Health Options Program, or SHOP, since the Oct. 1 launch of HealthCare.gov. • Small employers need to offer some type of Insurance Benefit since it has always attracted and kept the best employees. • Employee selects options that best fit their life needs such as health insurance, HSA Account, FSA Account, supplemental insurance, etc. Who you gonna call? If this development interest you it is critical that you contact your employer Association or Chamber of Commerce and ask if they endorse a Private Insurance Exchange option for their members. If the answer is no, ask that they establish one. For more information see webinar link on my blog. Tommy Eden is a partner working out of the Constangy, Brooks & Smith, LLP offices in Opelika, AL and West Point, GA and a member of the ABA Section of Labor and Employment Law and serves on the Board of Directors for the East Alabama SHRM Chapter. He can be contacted at teden@constangy.com or 334-246-2901. Blog at www.alabamaatwork.com.